» Is Joss Whedon Just Using the Record-Shattering Avengers Franchise to Get More TV Work? Is Joss Whedon Just Using the Record-Shattering Avengers Franchise to Get More TV Work? Are you one of the millions and millions of people who enjoyed the charm and levity of The Avengers? 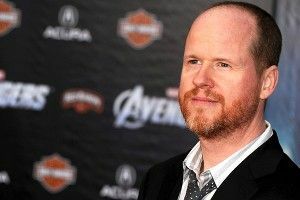 Good news, then: Joss Whedon, the writer and director of the billion-dollar blockbuster, has signed on for its sequel, Marvel Studios announced Tuesday. Whedon’s return was no sure thing, as Marvel has traditionally swapped out directors for the second (and third and fourth and … ) installments of its numerous recent hits. Then there was the question of whether or not Whedon, whose career has been focused on projects that belong somewhere along the opposite end of the spectrum from the third! biggest! movie! of all time!, would want to return. But it turns out both parties wanted some more of a good thing. And that means that, for at least one more go-round, The Avengers franchise is in very capable hands. Oh, but there’s more! In a statement, the studio explained that Whedon “has signed an exclusive deal with Marvel Studios for film and television through the end of June 2015. As part of that deal, Whedon will write and direct Marvel’s The Avengers 2 as well as help develop a new live action series for Marvel Television at ABC. He will also contribute creatively to the next phase of Marvel’s cinematic universe.” Pause. Back it up. Whedon’s doing another TV show? That’s remarkable. Basically this guy’s entire reputation before Avengers was built on making beloved TV shows that got short shrift, series — like Buffy, Firefly, and Dollhouse — that either never got the love they deserved during their initial runs or were prematurely axed. And now that he’s a big-time Hollywood director, it turns out he wants to go back to TV? After Avengers struck gold, Whedon made it clear he wasn’t abandoning the work that got him here. As he put it, “TV is my great love. To tell stories with that alacrity, intensity, and immediacy … Nothing quite like it. I imagine it’s not dissimilar to the feeling great poker players have: ‘Here’s what I got, here’s where I’m going … How to trick everybody into thinking I know what I’m doing? '” (More signs of his prolonged commitment to lower-budget affairs: his DIY Much Ado About Nothing, which he shot in secret at his house, and the rumored sequel to Dr. Horrible). But now Whedon is planning on playing both fields at the same time, signing up for Avengers 2 while also plotting a TV show within the Marvel universe. Maybe he’s focused on finally landing the one show that’ll run forever. Maybe he just really wants to get back into the TV game. Whatever the case, whenever this show lands, the specter of cancellation will loom above it. Over at TheOuthousers.com, they’ve (winkingly) already taken to saving this theoretical show: “The Outhouse has decided to preemptively strike out against Hollywood fat cats and other 1%ers that want to deprive Whedon fans of the witty repartee and obligatory favorite character death that they crave by starting an online petition to save the new show from cancellation before it even begins production. We only hope that we have not waited too long.” Just to be safe, why don’t you all go ahead and sign it now?